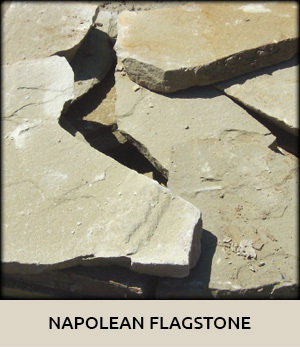 Natural stone has always been used in landscaping. 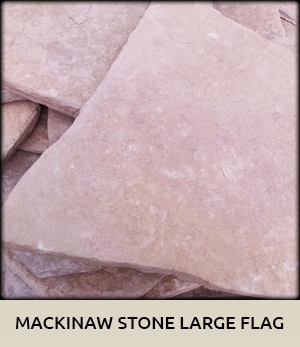 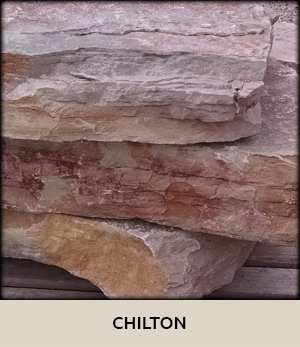 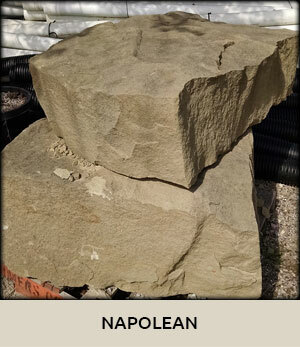 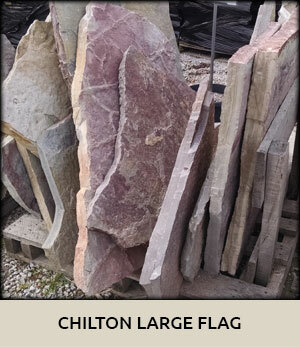 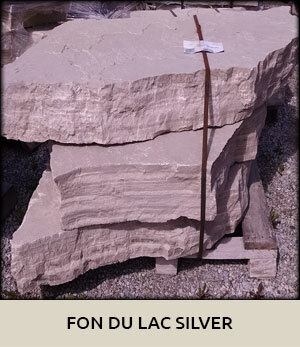 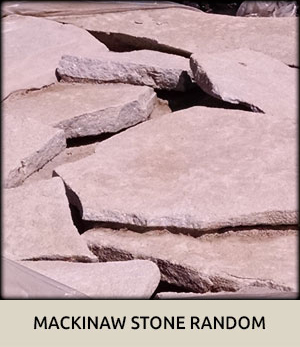 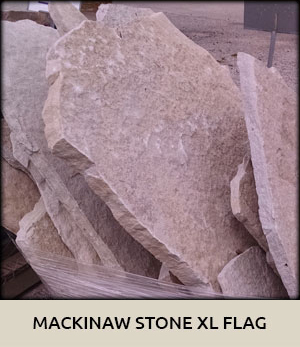 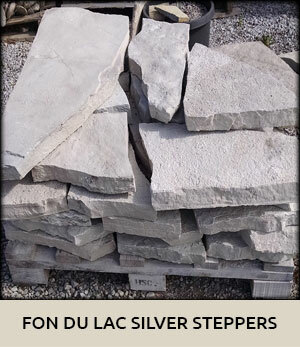 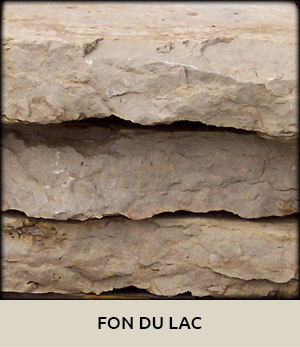 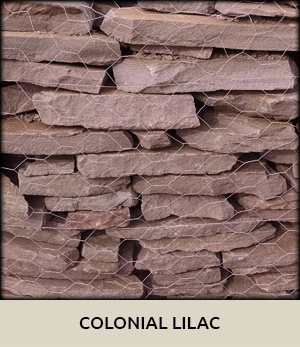 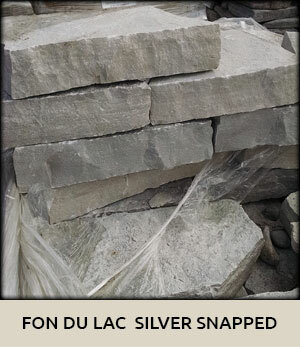 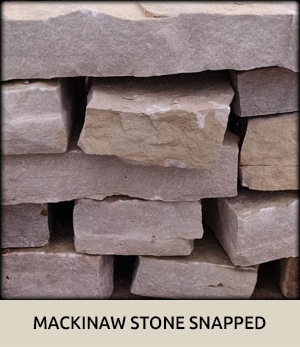 We carry stone from numerous locations with names such as Chilton, Fon du Lac, Grey Gorge, Mackinaw, Napoleon, and Pennsylvania. 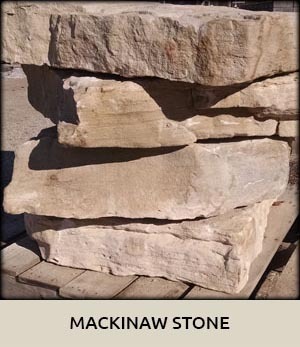 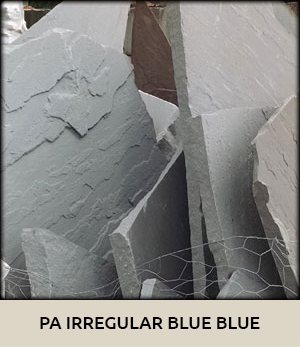 These natural stone products are quarried in a variety of sizes, shapes and colors depending on the region it comes from. 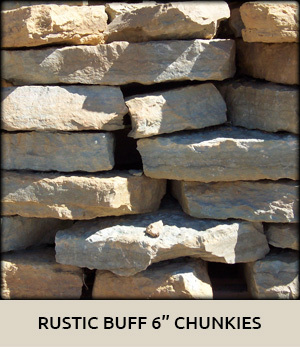 The thickness of the product is what typically defines how it is used to enhance the landscape. 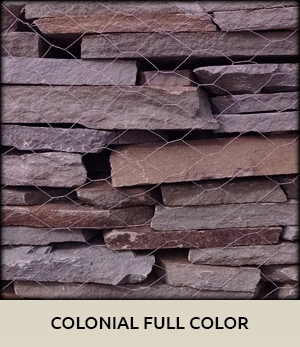 Thin material is usually laid flat on the ground, while thicker material gets stacked for walls, is used as steps, or used as accent pieces. 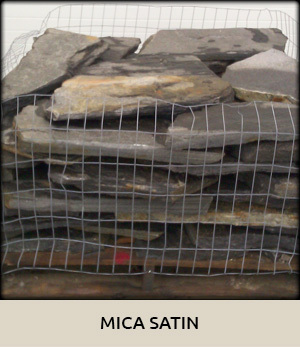 The following are names and the uses associated with the different products. 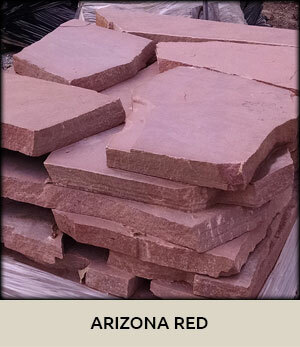 Flagstone is typically used to create walkways, patios, or garden paths. 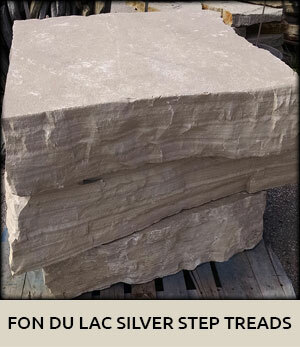 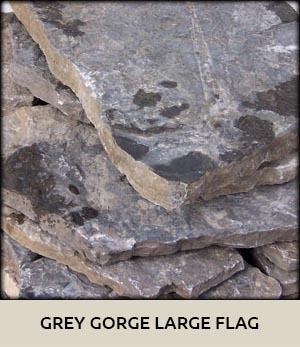 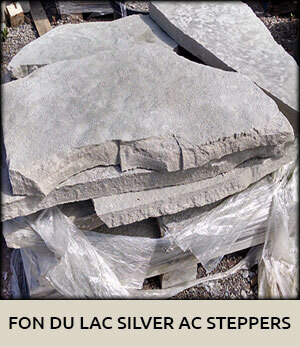 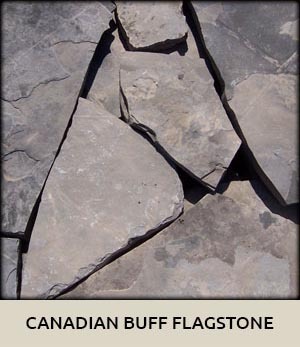 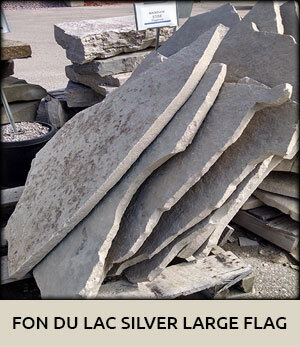 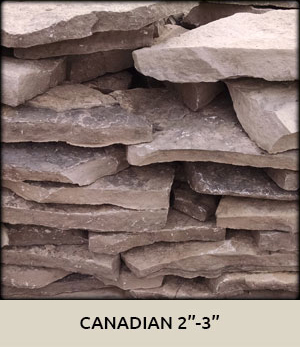 Most flagstone is a consistent 1 ¼” to 2 ½” thick, and varies in length and width. 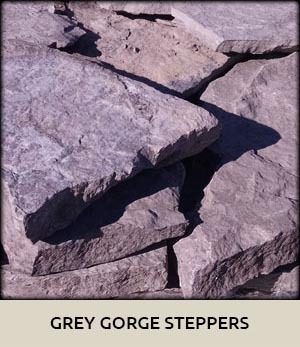 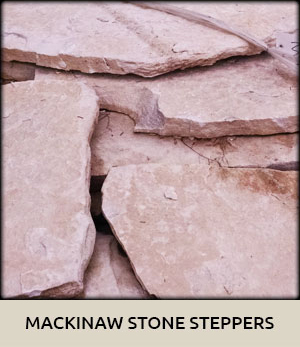 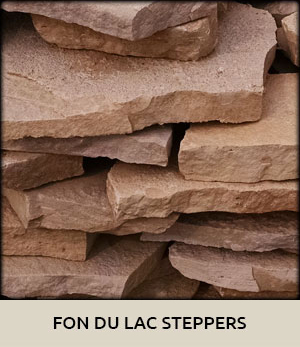 The term “Steppers” refers to smaller pieces of material, and the larger pieces are referred to as flagstone or large flagstone. 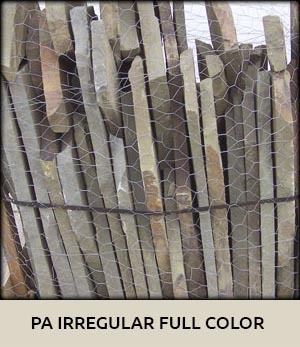 This material can be placed close together, separated with large gaps, or used individually. 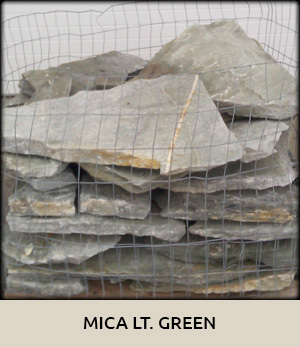 The gaps are then filled with materials ranging from topsoil & grass, to Enviro-Stone which will harden. 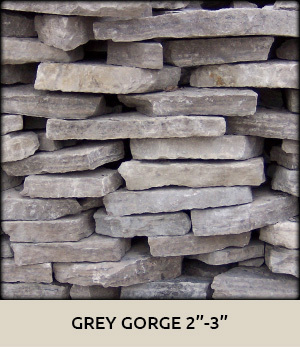 Stone referred to as “Wall Stone” is used, as the name suggests, to create walls in the landscape. 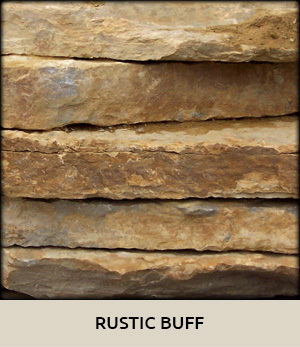 Pieces of this material are stacked on top of each other to form a wall. 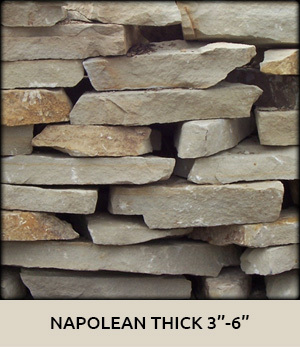 The thickness of wall stone can vary greatly. 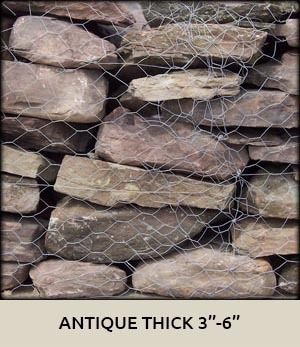 Typical thickness ranges are 1”-3” or 2”-4”. 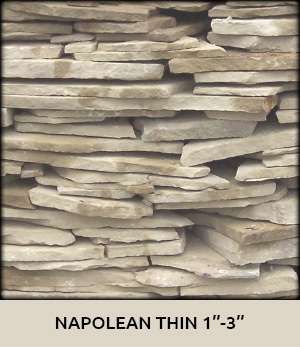 These wall stone products can come in irregular shapes, or as a snapped wall. 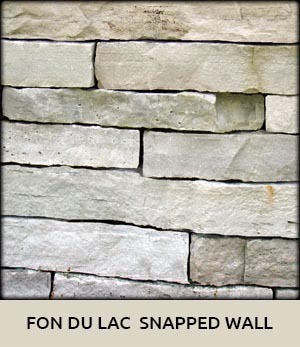 The snapped wall products are usually 8” in depth and have very little waste. 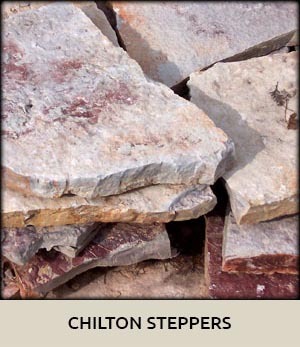 The largest pieces of natural stone are called outcropping pieces or chunks. 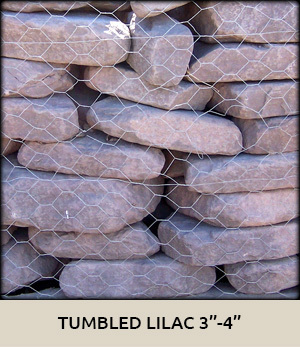 They can be used to build walls, used as accent pieces, or create steps in the landscape. 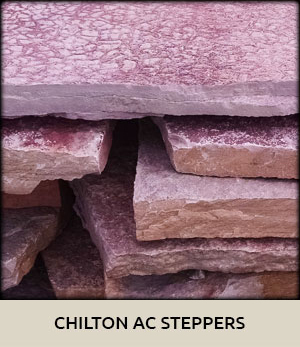 Material with a consistent thickness of 6”-8” is used primarily as steps. 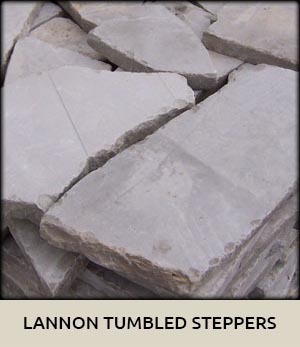 Steps can come in natural, irregular shapes or cut to dimensional sizes. 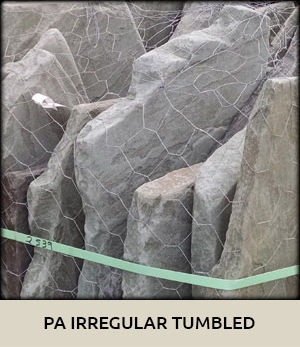 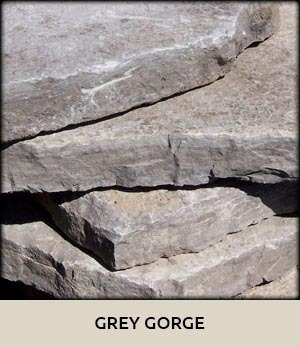 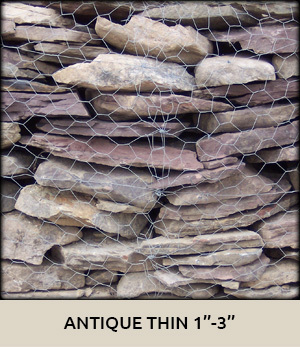 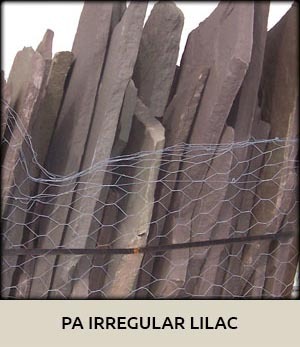 The irregular thickness material is typically referred to as outcropping, and is used for wall construction or accent pieces.